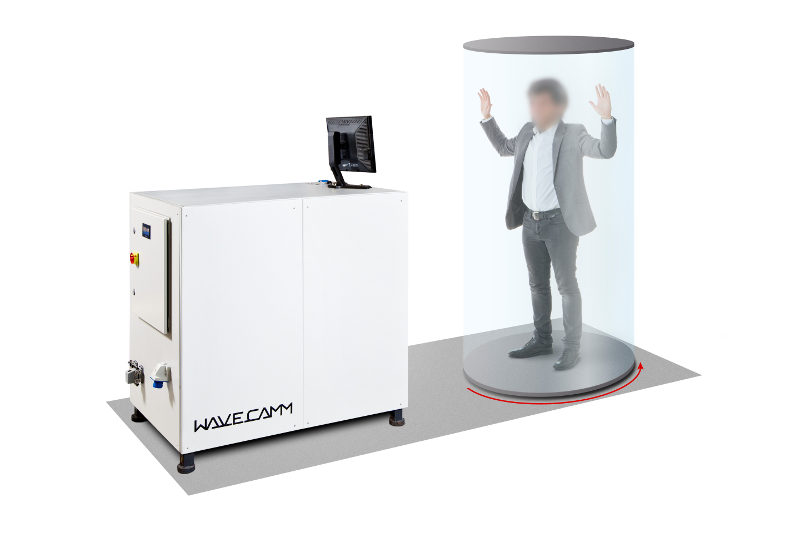 WAWECAMM is a Radio-Wave Body Scanner (Security Scanner) very simple and very easy to use to detect metallic and non-metallic concealed objects. Completely operational solution: The passenger experience is convenient, straightforward and efficient, requiring only a single stationary position during a 1second scan. The system does all the work: using advanced software, WAVECAMM removes the need for user interpretation and provides autonomous Threat/ No Threat decision in real time. 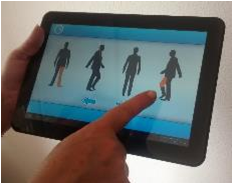 No special movements are required: reduces need for time-consuming and intrusive pat-down searches. 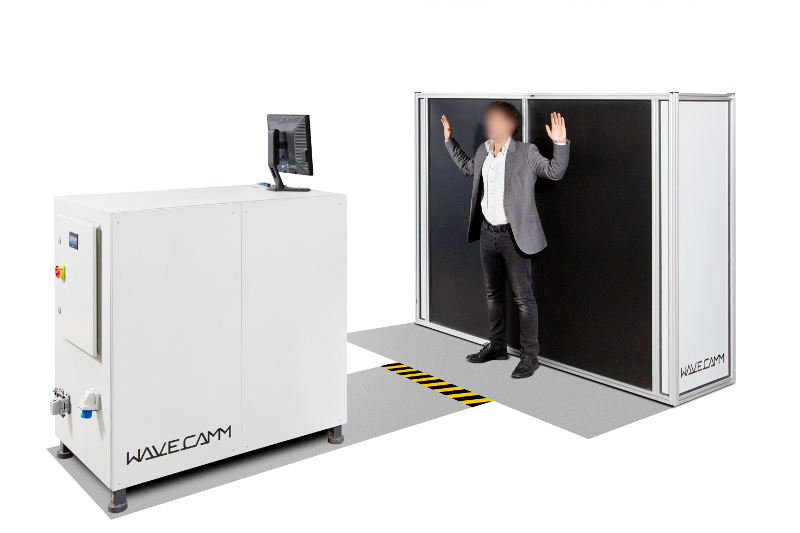 The standard screening procedure consist in one WAVECAMM device in front of one MIRROR device (1m distance) and the person positioned in front of Wavecamm with arms up. 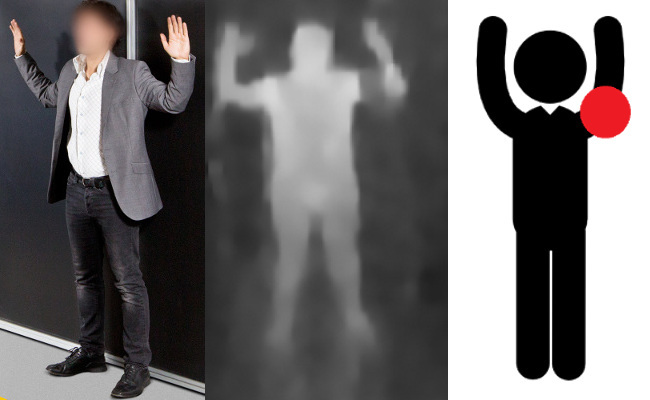 The screening procedure analyze the front image and the reflected back image from the Mirror system at the same time: Scanning time 1 sec / Total processing aprox. 10 sec. 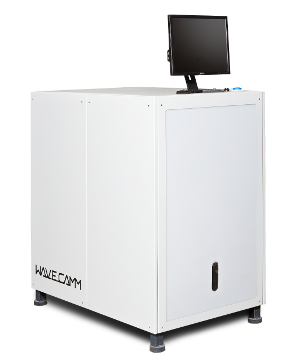 If security level or ratio pax/hour needs to be increased WAVECAMM also offer alternative configurations. Please, contact our experts to find best alternative for your needs. 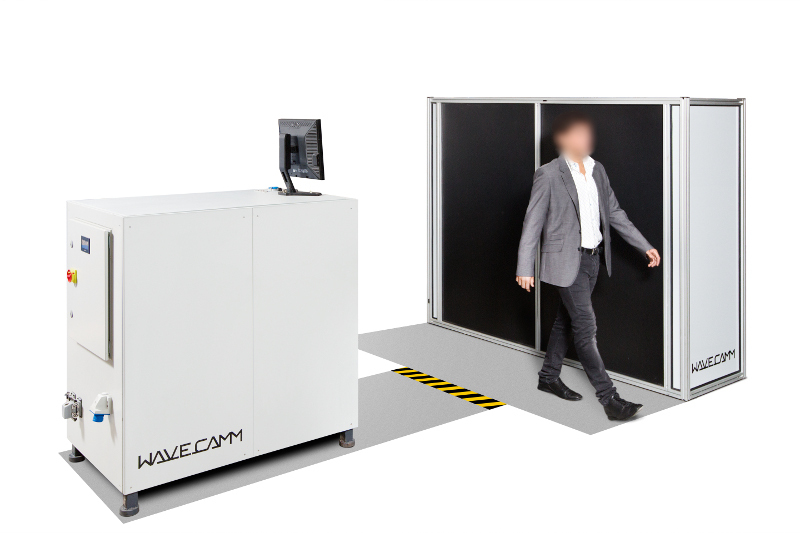 WAVECAMM is the unique technology 0% emission: an image-free solution with no privacy concerns. 0% emissions: 100% safe. Wavecamm do not emit any radiation: It measures the radiation which is naturally emitted by the body. 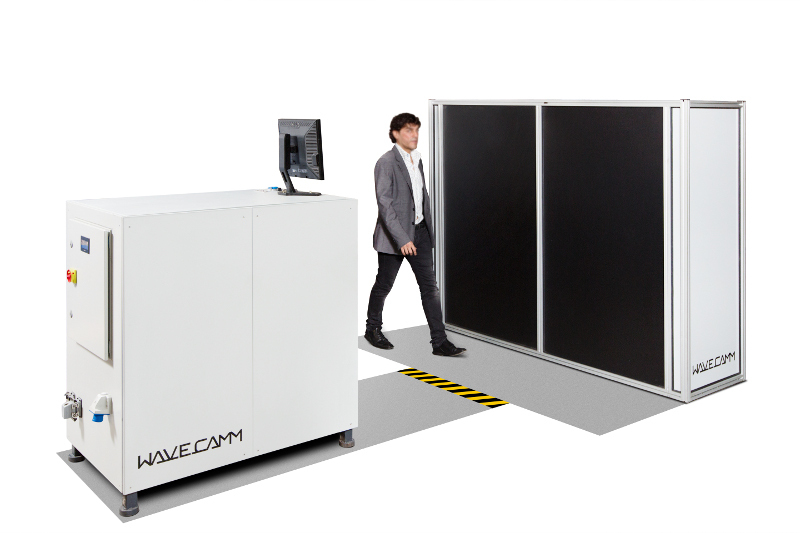 Therefore, WAVECAMM do not work with images, but with this naturally emitted radiation transformed into a complex data matrix automatically analyzed by the Software: The system does all the work autonomously. 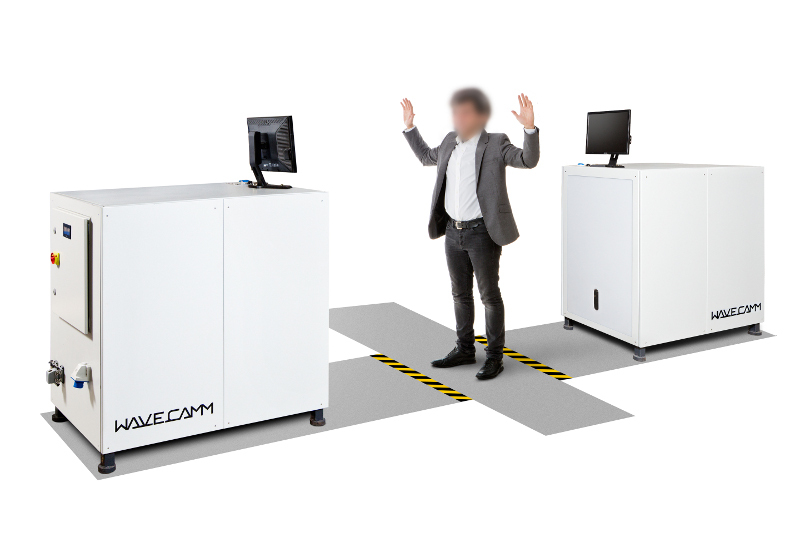 WAVECAMM advanced software for ""Automatic Thread Detection"" (ATDS) deliver exceptional automated processing and threat recognition: the software processes scanned data and automatically determines if the individual can be cleared through the checkpoint. 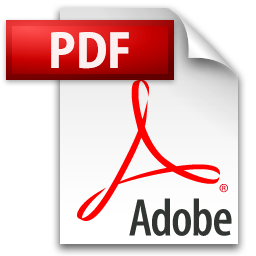 WAVECAMM ATDS is an image-free software which addresses all regulatory requirements (no privacy issues).